Marathon running is a challenging physical and mental task. It requires specific training and workout and months of preparation. This is what differentiates it from normal races. In fact if you are a novice or beginner without proper levels of fitness, you would practically not be able to finish the marathon. 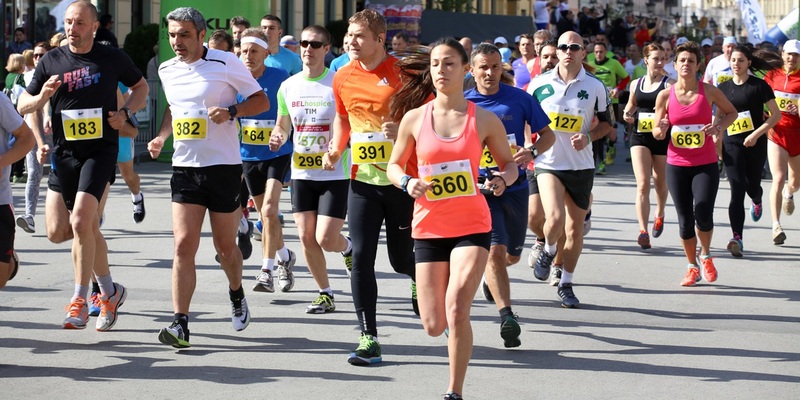 Maintaining levels of fitness is thus very important if you want to take part in a marathon. Marathon running requires very high level of stamina which can not be achieved overnight or in a week or month. So if you do not have proper levels of fitness you are going to have a tough time participating in a marathon and therefore overall fitness is very necessary if you wish to run a marathon. The training phase for a marathon is tough and the body takes up new challenges and one needs to push oneself to a whole new level. This excessive workout and exercise can cause heavy wear and tear to the body and can also cause some damage to muscles. And it is therefore important for the body to be fit to avoid these damages as an unfit body can not cope up with such tremendous pressure. Running a marathon will exhaust your body completely. Due to such a long and continuous strenuous activity, your heart needs to work hard to keep the blood and oxygen flowing throughout. Physically fit people have healthier hearts as compared to others and if you are among the others, your heart may find it hard to keep up with the required challenge. Talking about physical fitness, it is not only limited to exercise or workouts, but also equally important is diet. Fit people consume healthier diet as compared to others. If you consume junk or unhealthy food regularly and are therefore unfit, you stand at a great disadvantage when it comes to running a marathon (and life in general). Studies have shown that people who exercise regularly and eat healthy have better states of mind as compared to others. Such people are less prone to mental illnesses like depression and otherwise and generally carry a more positive attitude towards life. And it is a known fact that marathon running is a challenge not just for the body but for the mind too. And staying fit will help you deal with the marathon in a better way.